Have you ever had one of those days in school where you have major writers block and can’t for the life of you figure out what to write about? Well I’ve had a lot of writers block recently. I’ve been praying to God to give me inspiration. When I woke up this morning I knew today would be special. I woke up to a cold morning with a beautiful sun that peeped through the clouds every once and a while. As I did my devotional/bible study this morning, God revealed to me what He wanted me to share with you today. 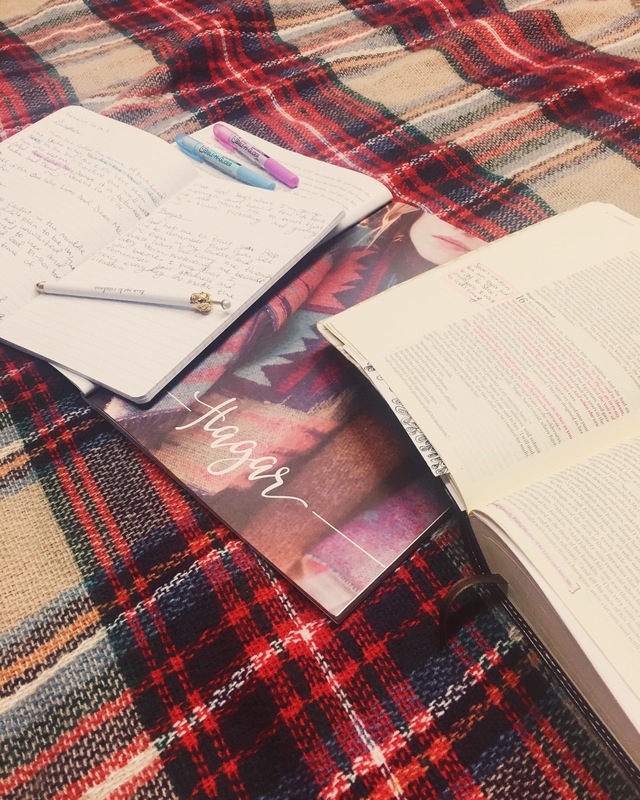 During my study time with God, my devo went through the life of Hagar an Egyptian maidservant to Sarai. Hagar is mentioned in Genesis chapter 16 and 21. She is first mentioned when Sarai is frustrated with God because she has not yet bore a son. She takes matters into her own hands and requests that Abram go into Hagar that she might be able to have children through her maidservant. Of course we all know that this is not very logical and poor Hagar gets treated terribly because of Sarai’s foolishness and impatience. Hagar flees from Sarai but the Angel of the Lord finds her by a spring of water in the wilderness. He tells her to go back to Sarai and submit herself to Sarai’s hand. The Angel of the Lord promises her that her son will inherit a great nation just like He has promised Abram. After the Angel was finished speaking to her she called the Lord El-Roi which means “You-Are-the-God-Who-Sees” (Gen. 16:13a). Hagar was caught in the middle of a mess that she didn’t plan to be in. She must have felt so alone, lost, unloved, and unwanted. Yet, the Angel of the Lord appeared to her and comforted her soul. God was merciful and compassionate towards Hagar. He loved her and watched over her even though she was not one of His chosen people. All God requested from her is that she be obedient to Him and submit to Sarai as a humble servant. God knew that Sarai was in the wrong and that Hagar did not deserve to be hurt by her but God saw a greater future for both women. He saw all and controlled the outcome of both Ishmael, Hagar’s son, and Isaac, Sarah’s soon to be son. Have you ever been through a situation where you questioned why God was allowing you to go through something difficult? Everyone has had this thought at least once including myself. It’s so easy to feel like God isn’t there when everything is going wrong. And it’s very difficult to believe in a God you can’t see but we must remember that God does see what we’re going through and He understands how we feel. Jesus was mistreated just like Hagar and just like us as Christians. There were so many people that looked down on Jesus and called Him awful things even though He was the Son of God. Sarai looked down on Hagar because the outcome of what Sarai had requested from her maid was not to her liking. People look down on Christians because we are not to their liking or expectation. We are just like anyone else. A sinner in need of a Savior. Christians will make mistakes and sin but, as a family in Christ, we are to be Christlike to one another. We are to love the sinner and hate the sin; to exhort and comfort those who have sinned and are hurting. God sees our struggles as Christians and wants to help us. We shouldn’t be looking for the world’s approval but only God’s. He is the one who will carry us through every storm, protecting us because He loves us. We may not understand why God puts certain situations in our lives but what we do understand is that all we have to do is call on God and He is right there watching over us and guiding us. Remember that God loves you and He does see you in the midst of all your pain and all the joy in your life.